Jeff Wills, our guest guitar artist. 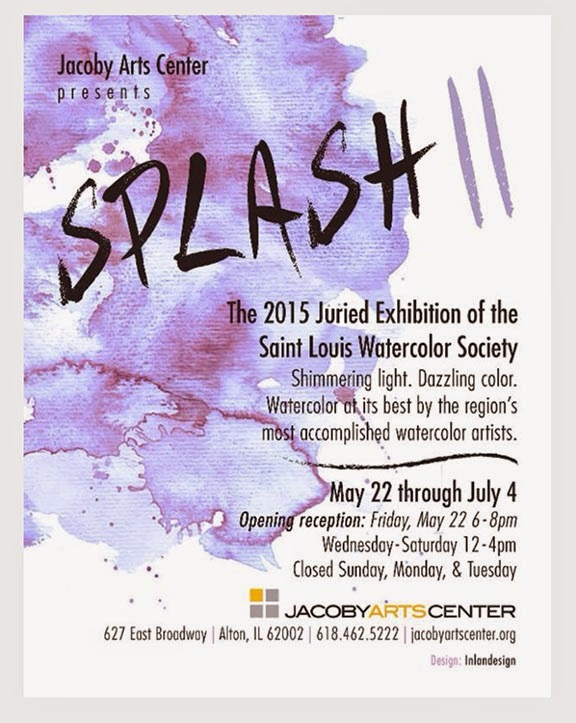 Jacoby Arts Center proudly presents “Splash II,” a juried exhibit celebrating the unique beauty and amazing versatility of watercolor painting. Richly diverse in style and subject matter, this exhibit features works by many of our region’s best-known masters of this challenging medium. We are honored to partner with the St. Louis Watercolor Society to present this event. The works and award winners in the exhibit were selected by Chicago artist-juror, Tom Lynch. Author of seven books on painting methods, Lynch is one of America’s premier watercolorists and teachers of watercolor techniques. Hope you’ll join us — Friday, May 22, 6:00 – 8:00 pm. A Special Thanks to Our Splash II Exhibit Sponsors! John Celuch of Inland Design.